This map demonstrates territory of Ukraine. map of Veseliya calibrated for Garmin. topographic map of Veselaya Balka calibrated for you. map of Tuzly calibrated presented. free map of Shirokoye и OziExplorer calibration for you. detailed map of Sadovoye for Garmin. map of Prymors'ke и OziExplorer calibration displayed. 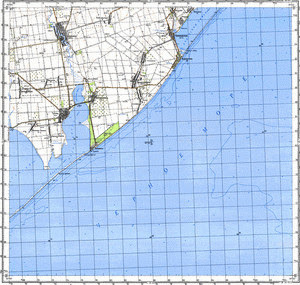 topographic map of Nikolayevka 1 cm to 1 km presented. actual map of Neufel'd и OziExplorer calibration download for free. detailed map of Mirolyubovka и OziExplorer calibration here. detailed map of Lebedevka 1 cm to 1 km here. free map of Kurortne for Garmin. detailed map of Kosivka this. topographic map of Kishla free download. topographic map of Katarga here. detailed map of Bol'shaya Balabanka for you. actual map of Blagodatnoye displayed. detailed map of Bezymyanka Pervaya calibrated displayed.